Add color and sparkle to your craft projects with these poms. 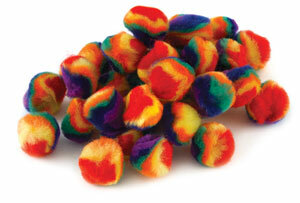 Rainbow and Glitter Poms are great for a variety of craft projects, including jewelry, collages, decorations and more. Packages contain 100 poms in assorted colors.